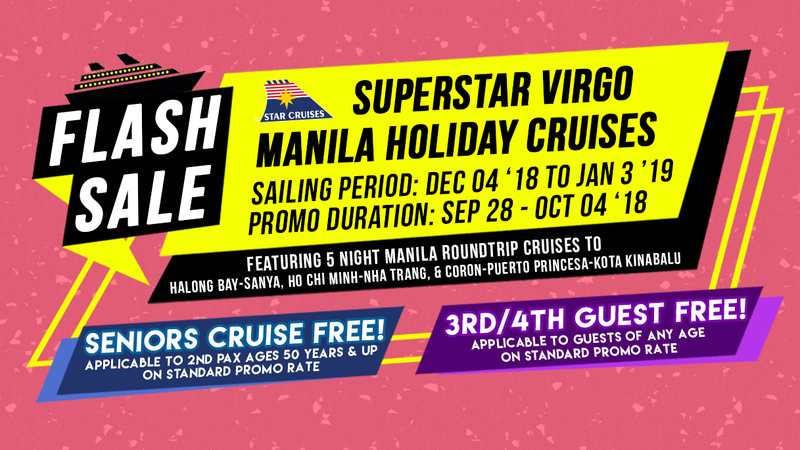 Home / asia / cruises / star cruises / stratworks / superstar virgo / travel / Travel | SSV Flash Sale!!!! 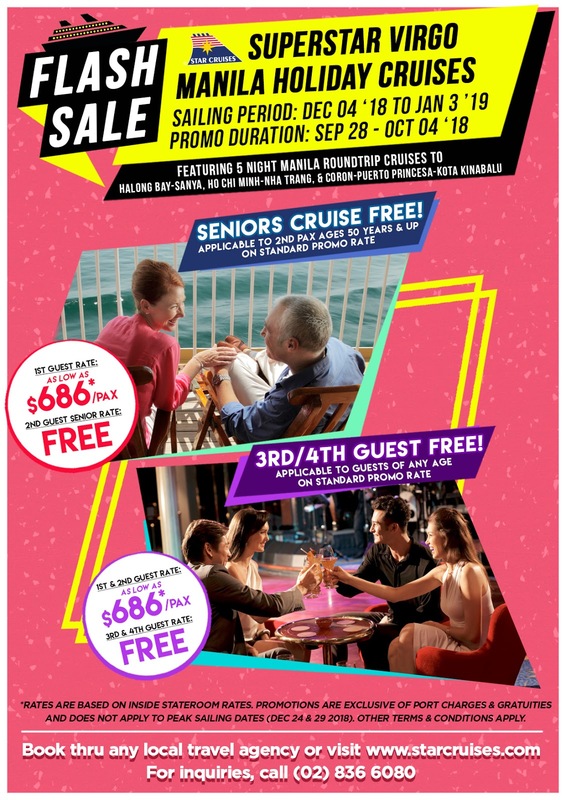 Travel | SSV Flash Sale!!!! Festive treats by SuperStar Virgo!!!! The flagship of Star Cruises announces her return to the our Manila homeport in December!!!! 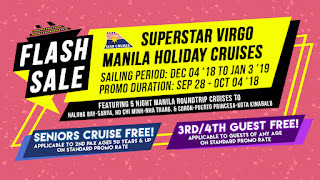 Filipinos will find more reasons to take their vacations aboard the SuperStar Virgo for 5 night journeys to the beaches in Southern China and other vacay friendly locations in Vietnam, Palawan and Kota Kinabalu. Star Cruises' commitment in offering best-in-class services and facilities is reflected in a host of recognitions and accolades received over the years. These include being inducted into the prestigious Travel Trade Gazette's "Travel Hall of Fame" for the tenth consecutive year in 2017 in recognition of winning "Best Cruise Operator in the Asia-Pacific" for 10 consecutive years. Star Cruises was also recently voted "Asia's Leading Cruise Line" at the World Travel Awards for the sixth year in a row in 2017. The 13-storey SuperStar Virgo is equipped with 935 cabins, including sea-view cabins and balcony suites. Offering a wide variety of dining, shopping and entertainment choices, her facilities embrace Chinese, international and Japanese restaurants, an alfresco bar, foot reflexology salon and spa, gym, steam and sauna rooms, hairdressing salon, two-level theatre, duty-free shops, a 100-metre mega water slide, outdoor swimming pool, mini golf course, karaoke room, children's activity centre and more. A calendar of themed entertainment constantly refreshes the onboard fun and excitement, ensuring every voyage is a brand new enjoyable experience.